This entry was posted in Bible Crafts, Coloring Page, Disciples, NT Crafts, Paul, Printables and tagged coloring page, disciple, escape, lowered, Paul, wall. 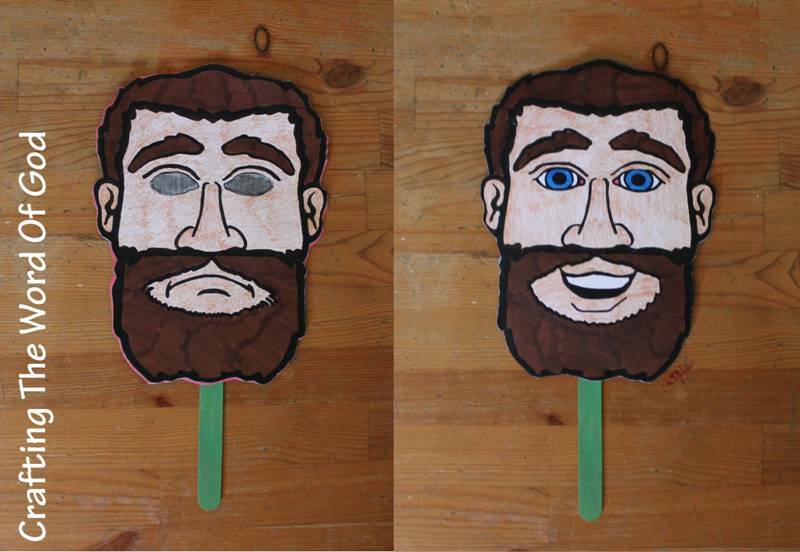 This craft will help visualize the conversion of Paul for your kids. Make sure you explain both sides of the mask when you tell your kids the story. Glue a large popsicle stick to the back of one of the faces. Glue the second head to the other side of the first one, the popsicle stick will be between both faces. Place a sheet of wax paper over the smiling face. Trace the outline of both eyes onto the wax paper. Cut out the eyes from the wax paper. Finally glue the wax paper eyes onto the eyes of the sad face. This entry was posted in Bible Crafts, Disciples, NT Crafts, Paul and tagged Ananias, bible crafts, blind, conversion, craft, crafts, Damascus, God, Jesus, obedience, Paul, prays, Saul, saved, scales. Paul was not a stranger of persecution. He was zealous for the Lord and endured persecution for it. 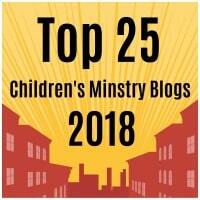 God’s faithfulness and mercy demonstrated themselves to Paul through persecution and tribulation. 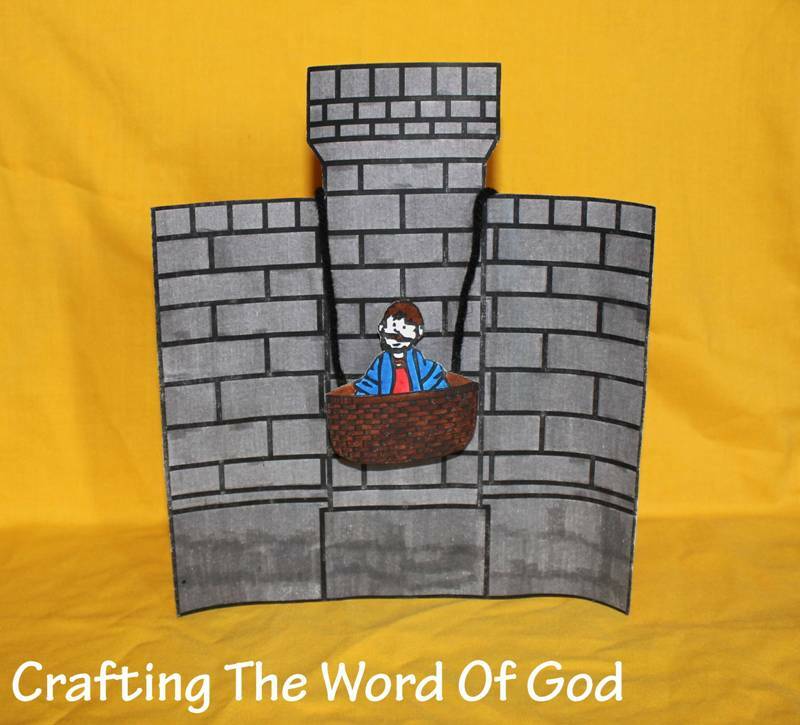 This craft will remind your kids of the story of Paul being lowered in a basket at night by his friends. Assemble the support on page 2. Glue the support to the back of the tower. Finally hang the basket from the tower by gluing two pieces of string to the basket and gluing the other sides of the string to the wall. This entry was posted in Bible Crafts, Disciples, NT Crafts, Paul and tagged basket, bible crafts, craft, crafts, friends, lowered, Paul, paul lowered in a basket, persecuted, wall.